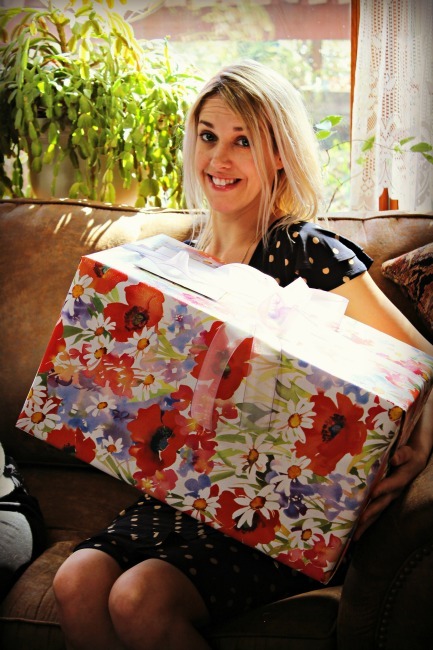 My baby sister is all grown up and getting married. 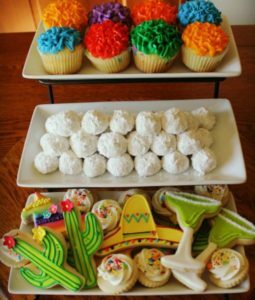 To celebrate her upcoming nuptials my Aunt Rita and I threw an epic Fiesta Bridal Shower complete with margaritas, sangria, salsa and tacos. We went all out with food and decorations, and even a few party games. A fun time was had by all! 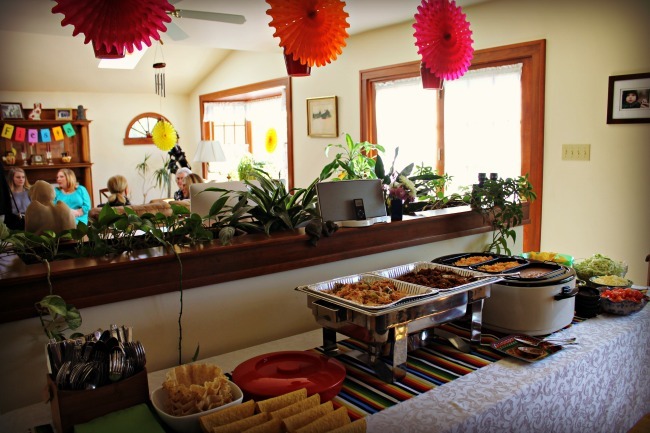 This party was fairly easy to put together thanks to the help of Etsy, Oriental Trading, Pinterest and one of our favorite local Mexican Restaurants. 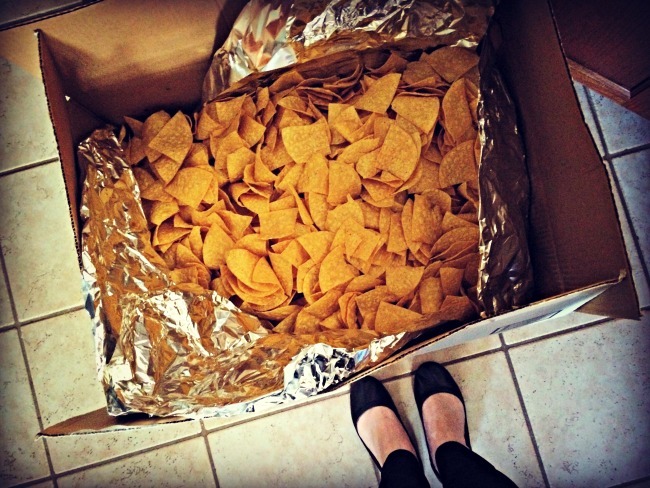 My aunt and I decided that this would not be the last Fiesta celebration we threw together. Check out all of our fun ideas, and if you have any other ideas to add for our next Fiesta please comment below! 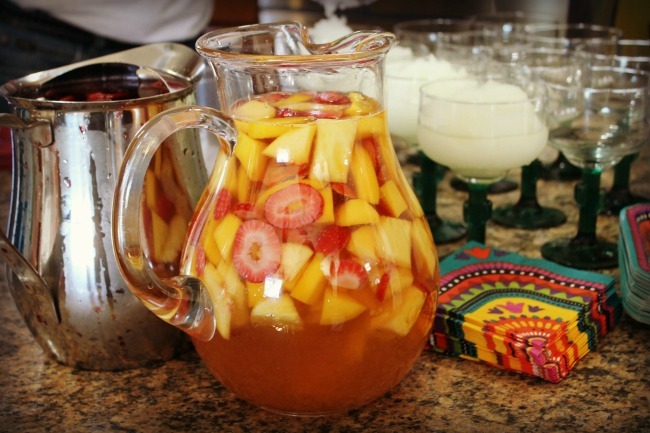 Sangria: My cousin Renee made some gorgeous & delicious Sangria to serve to our guests. 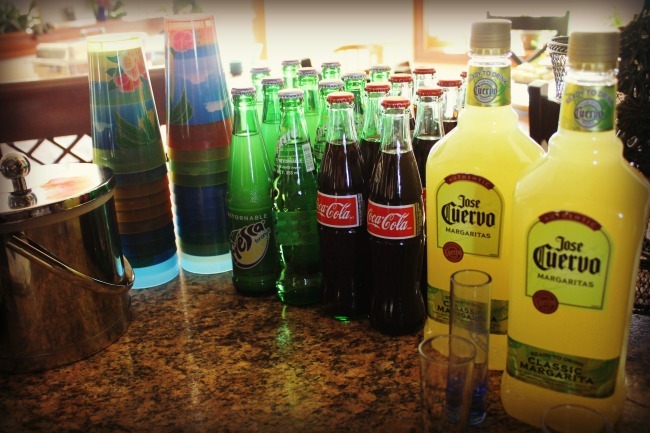 The Bar: In addition to Sangria we also had Mexican soft drinks, beer and a Margarita machine! 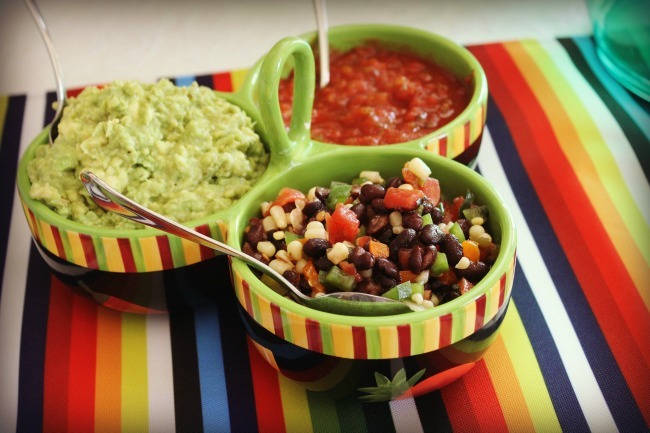 The Buffet: We ordered food from El Rio Grande in Newport and added other things like salsa, guacamole, and taco shell bowls for making taco salads in addition to the hard and soft taco shells. Most of the decorations came from Oriental Trading. 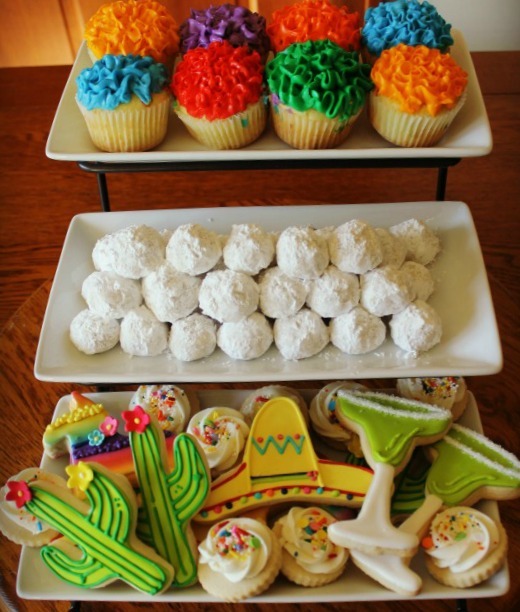 The Sweets: My friend made fancy cupcakes for the occasion, Aunt Rita made Mexican Wedding Cookies and we had cute iced cookies from Buttercup Cake House in Covington. 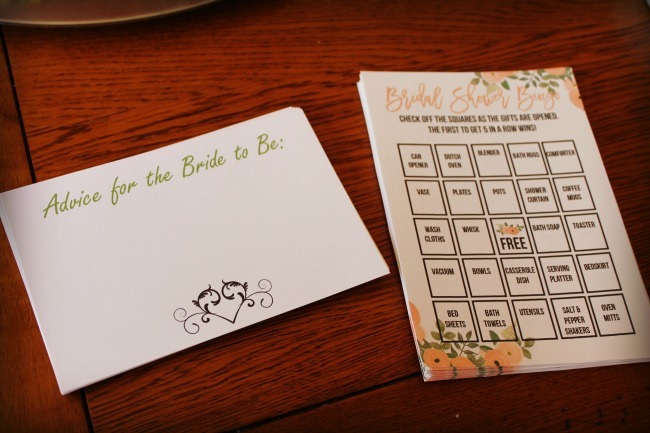 Bingo & Words of Wisdom: I made note cards for everyone to write advice for the bride on as a keepsake and I found Bingo cards on Pinterest for the guests to play while she opened her gifts.